easier, faster, and better decisions with their data. Varigence was founded in 2008 with an ambitious vision to bring affordable data solutions to companies of any size through automation. We develop our products and empower our customers across the globe from offices in Greenville, SC and Sydney, Australia. As data of all kinds becomes more accessible, we will continue to level the playing field and prevent monopolization by making business intelligence available to all. Want to work on cutting edge technology and help change the way business is done around the world? At Varigence we do exactly that. Send us your resume to see how you can become a part of the team and help change the business intelligence landscape. Work with the team that created Biml on their next-generation metadata-driven data warehouse automation framework. BimlFlex is an end-to-end solution that accelerates the data warehouse development process: everything from modeling through deployment and operations management. 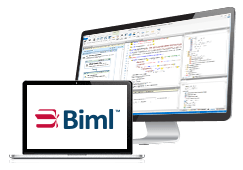 We are looking for a Data Architect to lead the technical development of new features in the BimlFlex framework. It’s a big job, and it will have the potential to change the course of data warehouse development technology. 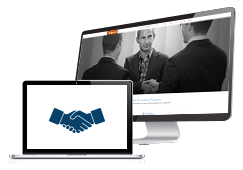 We offer market compensation or better in addition to world class benefits. The role is a fast-paced, exciting position and is an opportunity to develop a broad range of high-demand skills. Projects are team-based and highly collaborative, and the solutions we build are for our next-gen Data Warehouse Automation framework. Varigence offers a truly unique set of tools in the Business Intelligence sector. 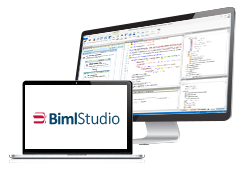 We are looking for developers who are ready to embrace their role in creating the most robust, extensible and user-friendly data mining software available. In addition to the top-tier base salary that your skill set commands, we offer a comprehensive benefits package. Do you want to be a part of a revolutionary new company in the thriving business intelligence space? 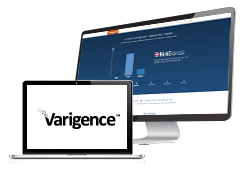 Varigence is on the cutting edge of a new way to deliver business intelligence and we want your help. As a tester on this team you will working extremely closely with an experienced development team to ensure that the shipped products are of unquestionable quality. You’ll own the full end-to-end test story for a product(s), from test plan creation to execution. You’ll own the scheduling and estimation of test work, and work with the developers to ensure that testability is built into the product. You’ll also play a critical role in assessing when a product is ready to ship. Our philosophy is the role of QA should be to build process, automation, and tests to ensure that the product is defect free from the start - not to find bugs late in the product cycle. A passion for computing technology. Strong knowledge of the Microsoft business intelligence stack including SQL Server, SSIS, and SSAS, and Microsoft Excel Pivot Tables. Expertise in modern testing and software lifecycles. If TDD and MVVM are acronyms that roll off the tongue, then you’re in the right place. UI automation experience, including continuous integration, unit testing, ui/acceptance testing, profiling / performance testing, and code coverage frameworks. Passion to explore more innovative methods for testing products and features, such as making use of highly virtualized labs. Experience with Microsoft web services technologies such as IIS, ActiveDirectory, Kerberos, and WCF is a plus. 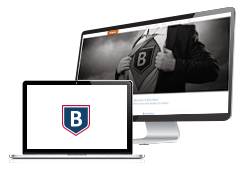 If you’re ready to change the face of business computing then look no further, apply today.